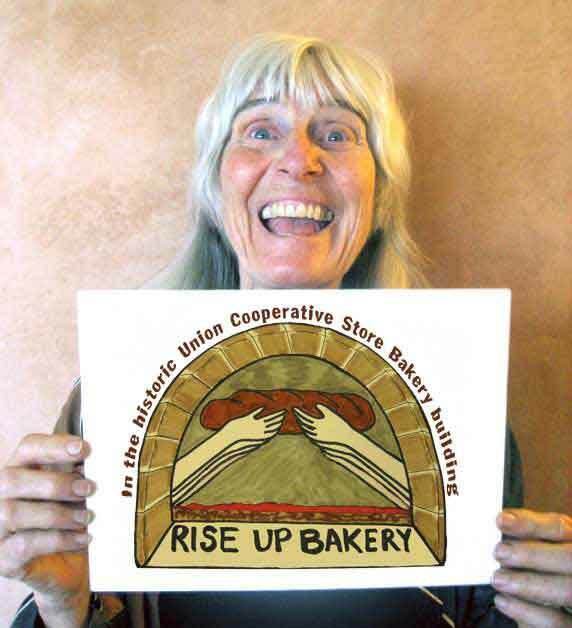 Carolyn Shapiro celebrating the successful completion of the Rise Up Bakery Kickstarter Campaign for Phase 1 of the restoration of the Union Cooperative Store bakery building. Our total budget adds a few zeros to our Kickstarter goal! If any of you would like to still donate, PLEASE DO. In keeping with the flavor of the granite workers of 1913, we look forward to this being a “barn/bakery raising” where many hands will make the bakery come back to life. Thanks again! I look forward to breaking bread together. This news leavened my day with a joyful sense that something good is in the works. Well done, everyone. 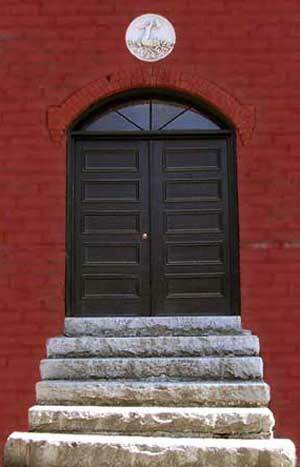 Read more about the bakery . . .